I can't wait for my camera to get back from the shop! I hope you don't mind the photos I've taken with my old camera. 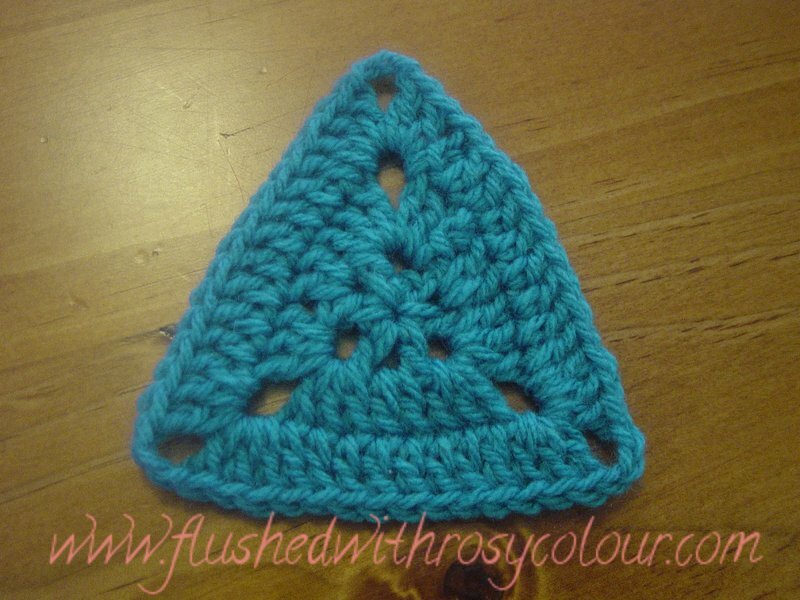 I made this three round triangle to see if I could do a third round on my two round triangles. Let me write the patter for you. Because I am still learning to write patterns, please let me know what you think by leaving a comment.